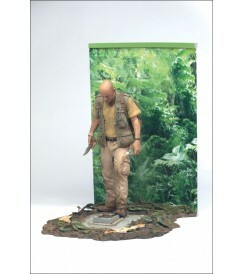 John Locke stands 7" (17.80cm) tall atop custom detailed hatch door base. Articulated at neck, biceps and waist. 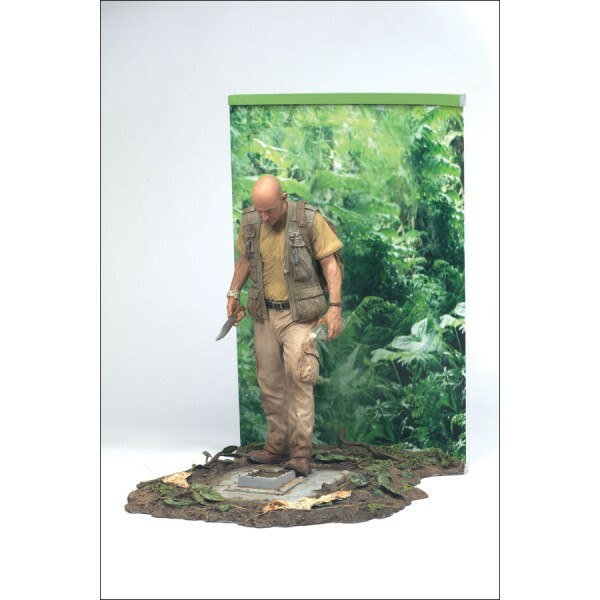 Includes hunting knife, water bottle, jungle backdrop and Walkabout brochure cover full-size prop replica.